PFC’s Director of Compliance, Nicholas Prola, Esq. recently spoke at the ACA International Convention and Expo in Seattle, Washington. The Convention and Expo is the collection industry’s premier annual event and was attended by hundreds of industry leaders. 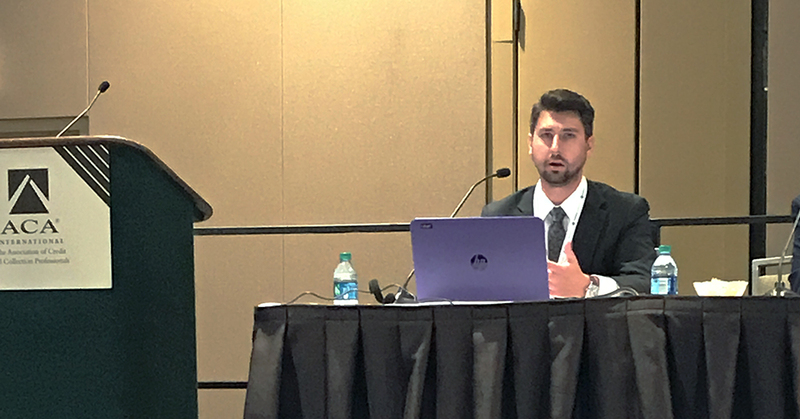 Mr. Prola presented on recent TCPA and FDCPA issues concerning the growing network of Wi-Fi cell phone providers (also called Mobile Virtual Network Operators) such as Google’s Project-Fi and Republic Wireless. Mr. Prola specifically addressed the issue of “shadow numbers”: numbers assigned to Wi-Fi phone subscribers that are undisclosed to the consumer and have led to an increase in unintentional phone calls from businesses, including collection agencies. Mr. Prola shared how PFC is responding to this trend to ensure PFC remains compliant and our clients remain protected. Mr. Prola frequently presents to clients and businesses on compliance and remaining up-to-date with the ever-changing regulatory environment.